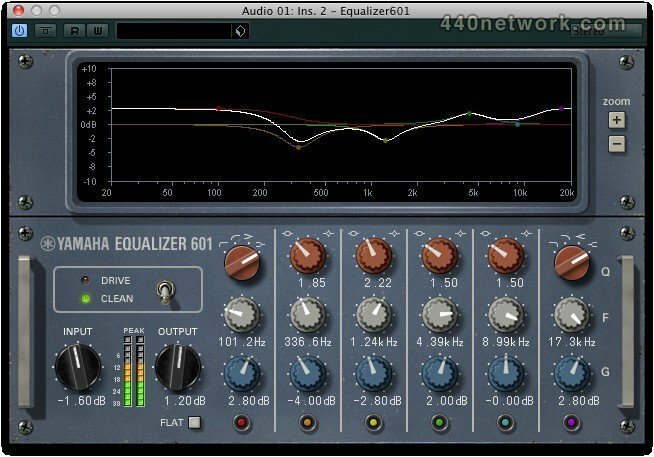 The Vintage Channel Strip consists of three plug-ins, the EQ 601, the Compressor 260 and the Compressor 276, reproducing the sound characteristics of several classic hardware EQ and compressor devices from the 1970s. Faithfully capturing the analog circuitries of these hardware masterpieces, these plug-ins are also fine-tuned by leading engineers and provide an interface that combines simplicity in operation with exceptional sounding results. The Yamaha EQ 601 combines the sound of a classic equalizer from the 1970s with a wide range of practical functions. The plug-in offers six fully paramtercial bands, allowing you to manipulate the frequency with highest precision. The lower and the upper band include shelving filters, whereas the four MID bands come with peaking filters, exactly reproducing the both the boost and cut frequency response of vintage analog gear. The Drive mode allows the engineer to bring back the original analoge distortion characteristics of the good old days to a modern DAW system. 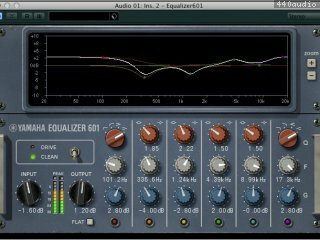 The 276 is a stereo compressor that has brought numerous professional productions to sonic perfection. Delivering classic-style compression based on the punch and fatness of the finest studio-grade hardware gear, the Compressor 276 is of the perfect choice for both acoustic instruments and vocals alike. The VCM technology enables you to experience the unique response and frequency characteristics of an analog hardware masterpiece from the 1970s. The Compressor 260 reintroduces the classic sound of the acclaimed compressor/limiter modules utilized by audio professionals in the late 1970s. Painstakingly modeling the renowned solid-state voltage-controlled amplifiers and RMS detection circuitries, which have elevated the hardware originals to legendary status, the Compressor 260 excels in the studio and concert halls alike.